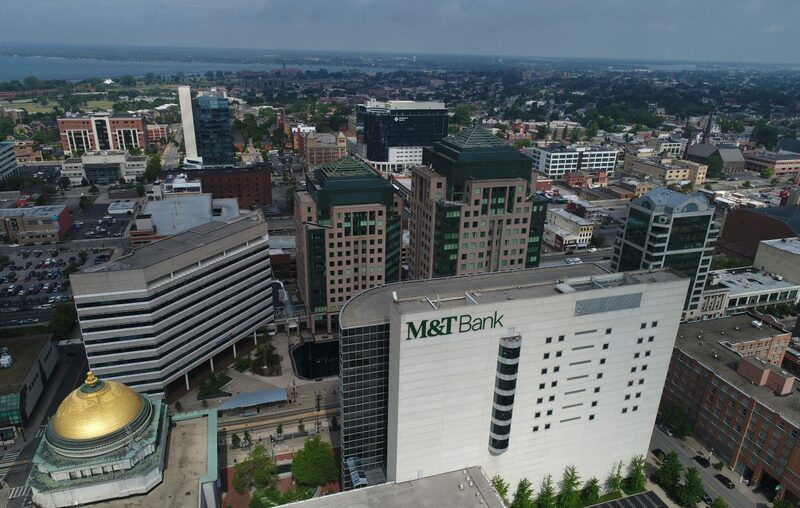 M&T Bank Corp. generated a lot of interest with its request for proposals about where to concentrate its technology and support workers. "I think we were presented with more ideas than even we anticipated we might get," said Darren King, M&T's chief financial officer. "Folks around town were very creative in many of the responses. So it was really great to see how the city rallied behind that request." The bank is evaluating its choices for a location and doesn't have a firm deadline to make a decision, King said. "We're just making sure that we think through all the options carefully." M&T wants to bring together technology employees who are presently spread out in six area locations. King said technology is an increasingly essential part of banking. For that reason, the bank is bringing more of those capabilities "in house," through hiring staff, rather than relying on outside contractors to provide those services, he said. M&T on Monday reported first-quarter profits of $483 million, up 37 percent from $353 million a year ago. The bank recorded earnings per share of $3.35, topping analysts' estimates. •There was "nothing in particular" to report on the potential acquisition front. "Where things stand today, it's pretty quiet," he said. •M&T's business in the Buffalo market reflects what's going on in the local economy. "I think you see a lot of competition perhaps at the smaller end of the spectrum in Western New York." King mentioned a "notable uptick in places like Bank on Buffalo, Evans Bank, S&T, and being more in the marketplace."